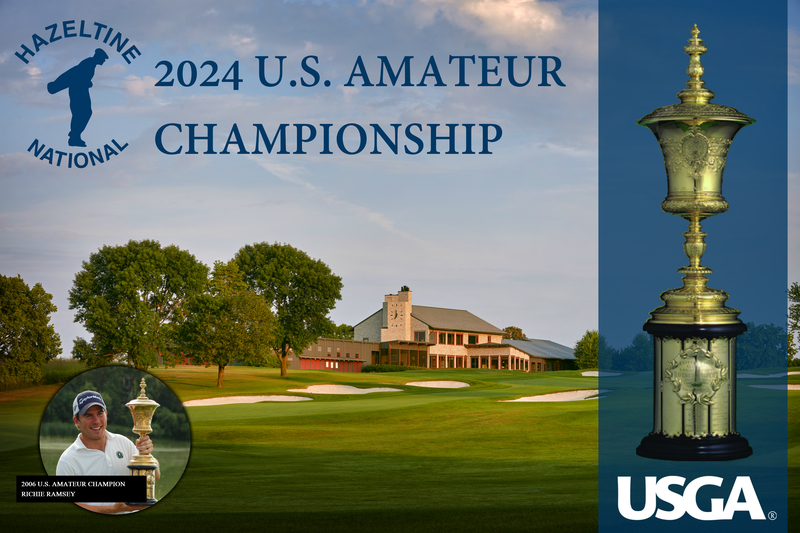 As part of its celebration of its centennial year, the Minnesota Golf Association invited the USGA to hold its state team championships at venerable Minnesota clubs. The women’s championship was played at Woodhill Country Club, and the men’s event was played concurrently at Hazeltine. In the wake of the September 11th terrorist attacks less than two weeks prior, it was uncertain whether the championships would be held. 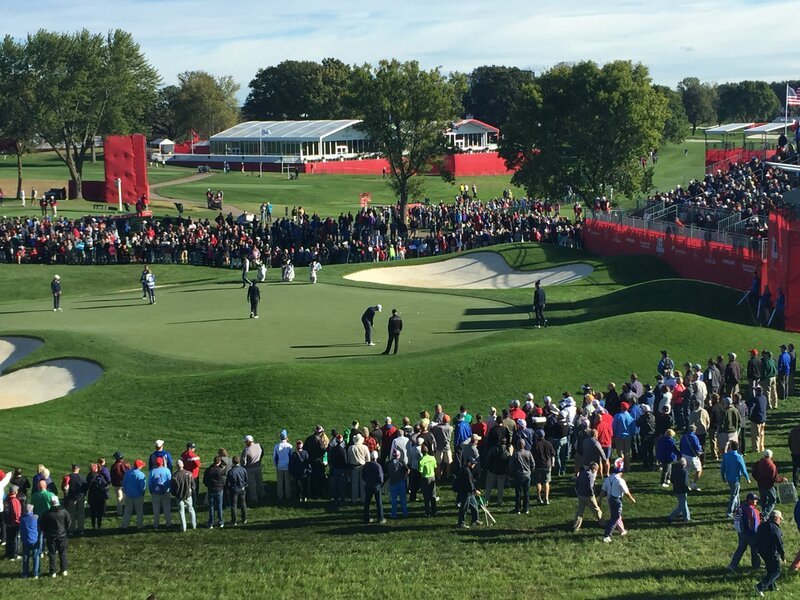 The decision was made to proceed, and teams from all fifty states, including Puerto Rico and the District of Columbia, competed at Hazeltine. A fall storm blew through during Saturday’s practice round, suspending play. 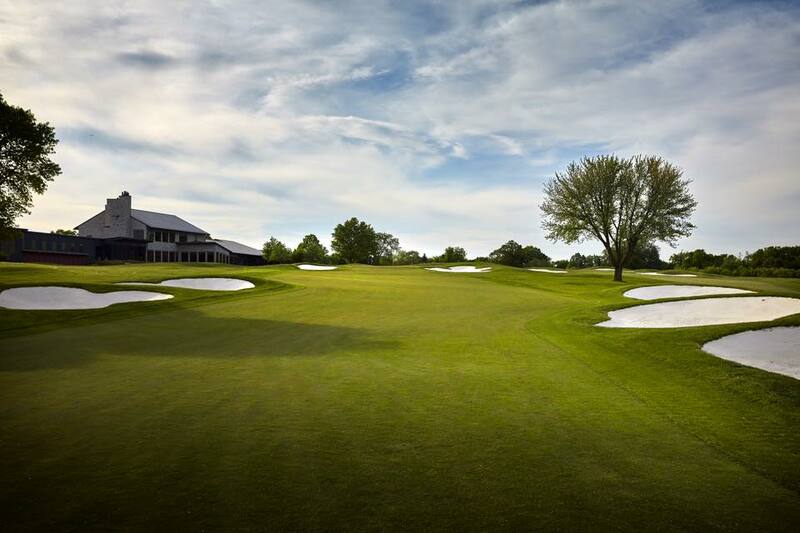 The travel difficulties and weather had combined to cause a number of players to have little or no practice on the demanding Hazeltine layout, which was set up to a length of 6,818 yards. After the front passed through, the first round was played on Sunday under cold and windy conditions. Under the format for the championship, two of the three scores from each team counted toward the total score during each of the three rounds. The teams from Arkansas and Michigan led those who played in the morning, with a three-over-par 147. In the afternoon, three teams finished with better scores. Virginia, led by Keith Decker’s 70 (one of only four sub-par rounds shot) finished in the lead at 142. Kansas and Oregon were at 144. On Monday, Minnesota vaulted to the front of the pack on the basis of rounds of 70 from Jered Gusso and John Carlson. The third member of the team, John Harris, the 1993 U.S. Amateur champion, shot 73. “You know we played well if we didn’t use (Harris’) score,” said Gusso, given his record as one of the best golfers in Minnesota history. At the end of the day, Virginia trailed by three strokes, and Alabama by five. The difficulty of keeping track of the competing team scores in the best-two-of-three format made following the final day’s action particularly problematic. However, there was no doubt that scintillating play on the front nine by the Virginia team had propelled them into the lead. When Harris made double bogey on the short par-four 14th, it looked as if the championship was lost, but the words of Rebholz turned out to be prophetic. The Minnesota team held it together, and Virginia did not. The play of Harris in the wake of the double bogey made the difference. He gave himself a chance to make birdie on each of the last four holes, converting on the dangerous par-four sixteenth hole, after hitting his approach shot to within two feet of the difficult back-left hole location. He parred the other three holes, and Minnesota beat the slumping Virginia team by two shots, with a combined score of even par. For his three rounds, Harris was one under par, the lowest score by an individual for the three days. It was definitely a team effort, with each player having his scores count twice during the championship. It was the second victory for the Minnesota men in the short history of the State Team Championship. At Woodhill, the Minnesota team of Julie Kalina-Jensen, Leigh Klasse, and Claudia Pilot won the women’s championship by nine strokes, with Pilot shooting the lowest individual score, a 220, four over par. It was the first time in the history of the two events that the same state had won both the men’s and women’s titles. It was truly a fairy-tale climax to the Minnesota Golf Association’s celebration. “We couldn’t have written a better script” said the MGA’s executive director, Julie Sprau.